Dan thrives on engaging and interactive sessions. Whether it’s a 75-minute keynote or a 2-hour workshop, Dan customizes the content based on the audience and the opportunities for reflection and/or interaction. This program defines a framework for leadership reinvention. To accomplish this shift in thinking leaders are first called to develop a strong foundation of self-awareness. This self-awareness allows the leader to next define reinvention of self, reinvention of others, and reinvention of business. Reinvent Self teaches leaders how to grow new skills and leverage these on a larger platform on which imaginative ideas become substantive solutions. Reinvent Others teaches leaders how to use inclusion and collaboration as a tool for increasing productivity. Reinvent the Business creates a lens for leaders to look at their organization, projects, and decisions in terms of profits, products and people. The final aspect of this work includes four key pillars prescribed as critical to successfully using this model: an above-average network and support system, a proficiency in critical and systems thinking, a savvy perspective of the political landscape, and a courageous drive for magis (more for the good of others). These pillars represent “the how” of the model. By growing self-awareness in each of these four areas, leaders gain clear direction on how the model will impact their productivity and their career. This program introduces leaders to a new term Generosity Quotient® – one’s ability to give. If IQ measures cognitive ability, and EQ measures one’s ability to manage emotions, then Generosity Quotient® captures leadership potential by measuring one’s capacity to “give.” Giving is defined as much more than charity and philanthropy. The program will help leaders rethink their approach to work. They will make the intentional decision to (a) have something to give and (b) be willing to share it. The leadership concept is then linked to a practical leadership model. This provides leaders a framework for what giving looks like in a work environment. 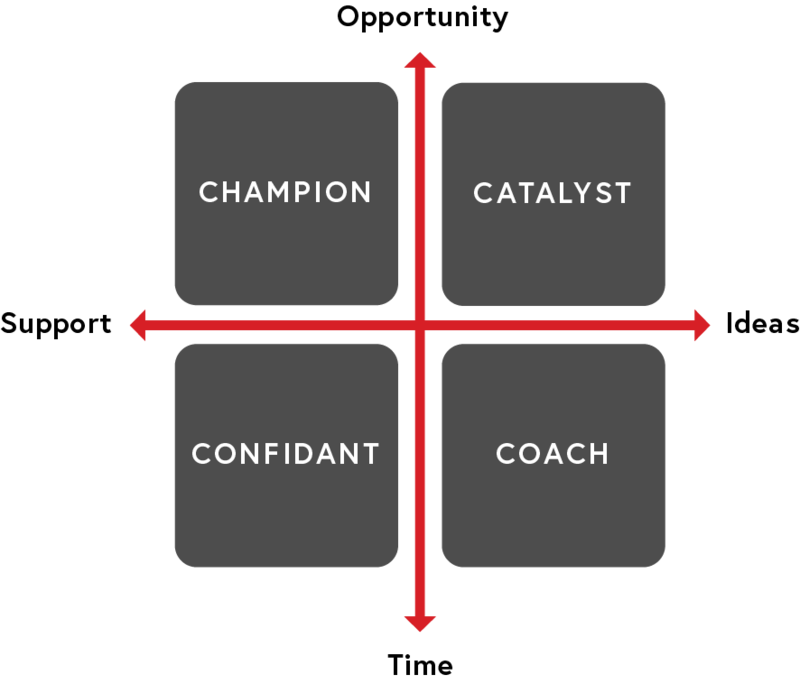 The model factors in giving support, time, opportunity and ideas to produce four classic types of givers: champions, catalysts, coaches and confidants. The model is simple in that it is extremely intuitive, yet it is profound in its ability to discern where one may be strong or lacking at displaying their Generosity Quotient®. Contact Gallagher Leadership for keynote availability and speaking requests.